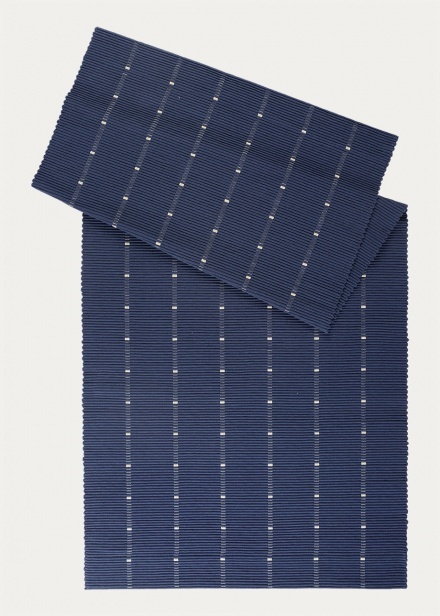 CHANNEL rug in ink blue is a hand-woven rug with an exquisite tight rep weave. The rug oozes sophistication in its simplicity and features short stitches in the weave. A highly durable and hard-wearing rug made of high-quality cotton, it will suit the majority of rooms and homes. Looks great in a bedroom, living room or hall, or even under the dining table. Available in several different colours and sizes. CHANNEL is easy to care for and is washable at 60°C. Where possible, wipe away dirt with a damp cloth to prevent unnecessary wear. We recommend an anti-slip rug underlay. CHANNEL rug in dark charcoal grey is a hand-woven rug with an exquisite tight rep weave. The rug oozes sophistication in its simplicity and features short stitches in the weave. A highly durable and hard-wearing rug made of high-quality cotton, it will suit the majority of rooms and homes. Looks great in a bedroom, living room or hall, or even under the dining table. Available in several different colours and sizes. CHANNEL rug in light bear brown is a hand-woven rug with an exquisite tight rep weave. The rug oozes sophistication in its simplicity and features short stitches in the weave. 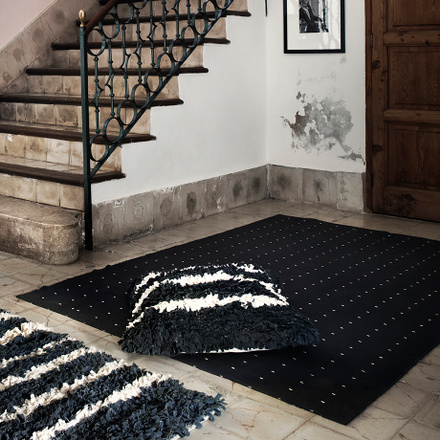 A highly durable and hard-wearing rug made of high-quality cotton, it will suit the majority of rooms and homes. Looks great in a bedroom, living room or hall, or even under the dining table. Available in several different colours and sizes.